May it be a small startup company or a big brand, HR is the most important sector that works for the employee's welfare and smoothens the operation. Small companies generally have a belief of ignoring HR and saving costs, managing the HR tasks through a spreadsheet. This is the point where they get mistaken. A proper HR management is required for the growth and maintaining the stability of your organization. Going through every single CV and then choosing the best applicants is a tiresome and a time-consuming process. While HRM software makes the process automated by setting some keywords and focus words through the search, best matching candidates list is arranged, thereby notifying about the available vacancies, training programs, other recruitment details can be done easily on an automated platform. Instead of storing data records manually, which can be lost anytime, go for a software which totally removes this concept. HRM software stores securely the data in its database which is held centrally on the server, giving access to the ones authorized. The data is placed securely with a backup facility too in case of failure or crash. SO, data can be safely and completely retrieved. Engaging the HR staff in doing the paperwork and maintaining records is actually a wastage of time and a home for errors and mistakes. Introducing a software that handles all the data records and other HR tasks in a fast and automated manner will certainly make the whole process simpler, error-free, accurate, and fast in a trouble-free manner. The main idea behind introducing HRM software is to perform HR tasks efficiently with fewer efforts. Enabling to attend HR tasks remotely without their presence in the company. Moreover, attendance leaves related to complex data management tasks to become easy to manage without human involvement on an online panel. 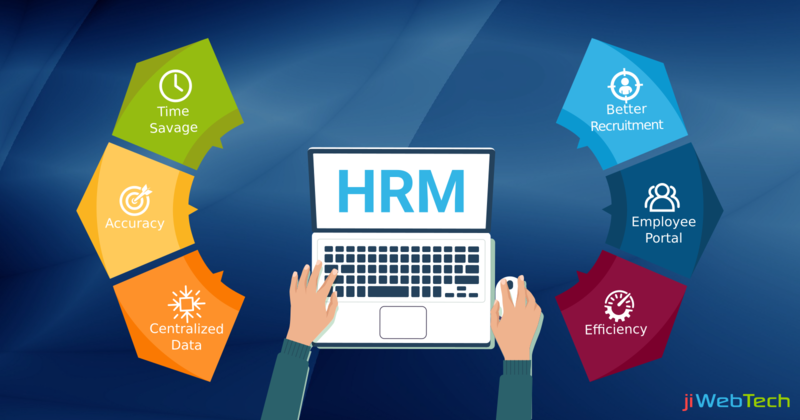 HRM software offers you a portal for every individual employee where his detailed information can be stored and displayed including his leave information, feedbacks, and reviews, performance reports, weekly roasters, or any such information which needs to be notified on a regular or urgent basis. One such HRM software designed to reduce your workload is “jiHRM”- offering you an easy to use platform with features such as employee information system, performance appraisal, time and attendance management, leave management, payroll management, and what not. Providing you a 24/7 support from an expert team of professionals at the best affordable prices. Get the benefits from jiHRM at the earliest.